The Primary Essentials is my favorite shop in my new(-ish) neighborhood of Boerum Hill/BoCoCa in Brooklyn, New York. Filled with finely curated ceramics, hand-dyed textiles, and highly-coveted artisanal pieces from local and independent designers, the store's aesthetic is clean, fresh, and inspired. 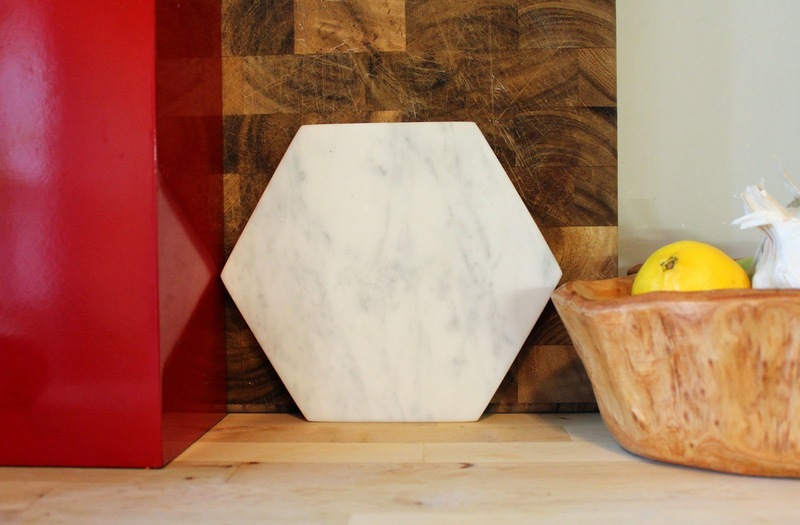 One piece that they carry is the marble hexagon trivet by Fort Standard that I have previously mentioned and coveted for months. It was recently sold out at the sites I originally found it, so was incredibly relieved to find it in my neighborhood at my favorite haunt. Sometimes the perfect found object or the primary essentials, if you will, are just enough to make your whole week. 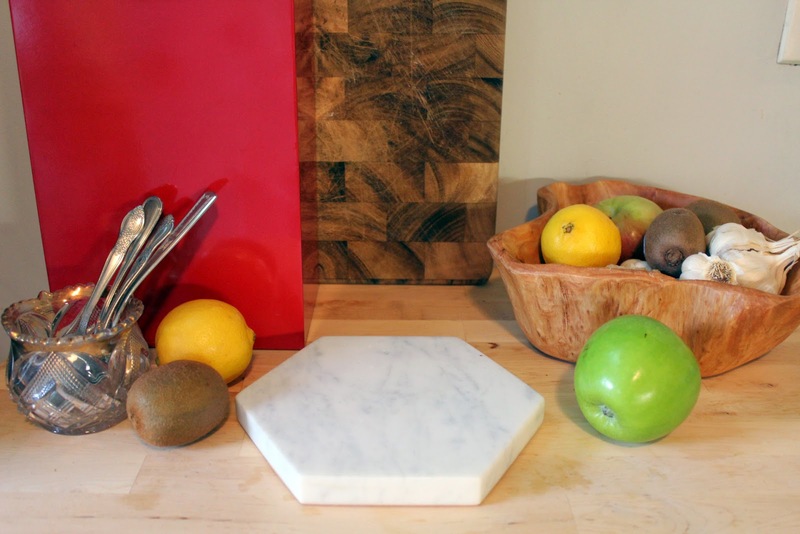 Photographed in our kitchen, my marble hexagon now resides on my bedside table. It protects the wood, lets my pale pink or mint green Heller mug resides comfortably, and pleases my aesthetic eye on-the-reg.